Lifetime Warranty. Guaranteed Part. Highest Quality. 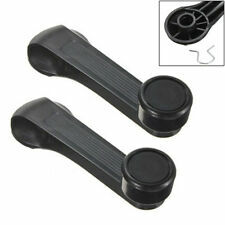 2pcs Window Winder Crank Handle. Fit For 1984-2000 Honda Civic. = If you buy the wrong products, plese inform us as soon as possible. Type : Window Crank Handle. primary_Color : Dark Gary. Make : Honda. Quantity : Price for a set 2 pieces. Material : Plastic. 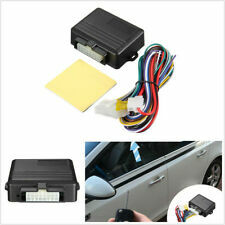 Universal Car Automatic Window Closer for 4 Doors Car Alarm Module Car Alarm Systems and Security Power Window Roll Up Closer. - You can choose the trigger signal POSITIVE( ) or NEGATIVE(-)from the wire harness of brown and brown/white. This part fits all 07-08 Honda Fit. Important note about Compatibility: Although believed to be accurate, it is there to show the range of years the part will fit. 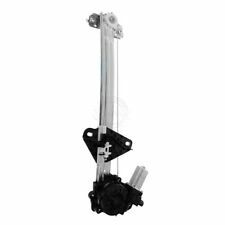 Manual Window Regulator. Driver Side LH Left. The aluminum window winders are supplied with 3 sets of adapters to suit many applications. Suitable: Fit for most vehicles with the manual window crank handle or the door crank handle whose size is 1/2" round or 3/8" square or 7/16" round with 16 splines. Product fit: Direct Fit. Overdrive has been in the automotive parts industry for over 15 years. FIND THE RIGHT PART FOR YOUR CAR. Newly Listed. QUICK LINKS. MIRROR ASSEMBLIES. MIRROR GLASS. OTHER PRODUCTS. 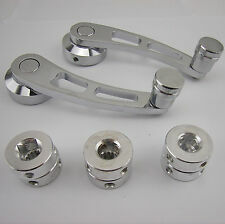 Billet Aluminum Window Cranks from Sickspeed. Made from weapons grade aluminum. NOTE: Vehicle compatibility charts are for REFERENCE ONLY. Check your vehicle to match your needs. 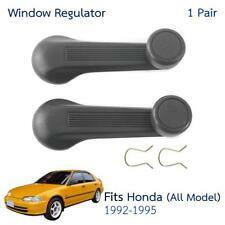 1x Window Winder Crank Handle. Fit For 1984-2000 Honda Civic. !! Front Window Regulator Only !! Suitable: Fit for most vehicles with the manual window crank handle or the door crank handle whose size is 1/2" round or 3/8" square or 7/16" round with 16 splines. Material: Aluminum. We have warehouses in the USA, CA, and AU. Manual Window Regulator. Front Driver Side LH Left. Model: Civic. 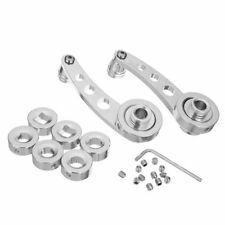 These parts are designed for USA production models and may not cross over for worldwide applications. SKU: BAP-7552-1604L. Other Part Number: 25750516. !! Rear Side Door - Window Regulator Only !! Model: Civic. These parts are designed for USA production models and may not cross over for worldwide applications. SKU: BAP-7552-1604R. Other Part Number: 25750516. That's right, this pre-owned window regulator could be yours! This window regulator is in good condition and was removed carefully when it was pulled. You will receive the part pictured above, and the photos provide an accurate image of condition. Complete wire harness. 1set New Universal 12V/24V 3pcs Buttons Car Power Window Switches with Holder & Wire HarnessFor 2-Door Pickup Truck SUV Van Car. Universal power window switch. 1 x Installation wire harness.